By the 1920s the ocean had eroded much of the island. A hurricane in the 1930s claimed even more of the land. 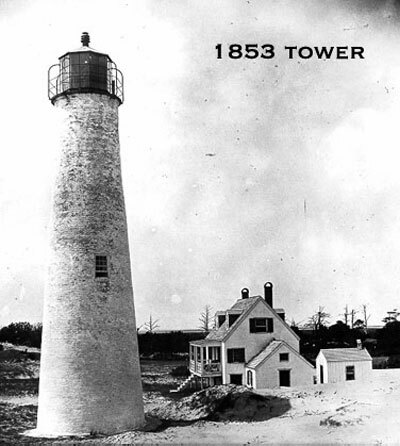 The lighthouse was demolished using 350 pounds of TNT in 1948. The land the lighthouse stood on is now underwater. The southern end of the island is no higher than 12 feet now. 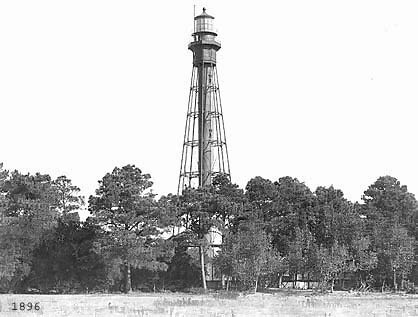 Now only an abandoned Coast Guard station and a watchtower remain. The University of Virginia maintains an Internet viewable directable camera on the tower. Most of these islands are owned by the Nature Conservancy and completely uninhabited. What’s left is now part of a bird sanctuary. 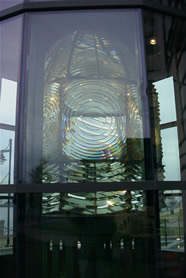 The 10-foot high lens, a first order produced by the Henry-LePaute company in France, was removed from the lighthouse before the final destruction of the facility. It was loaned to the City of Portsmouth, VA and is now on display on the Portsmouth Seawall. For more information you can visit the Portsmouth Visitors and Convention Bureau's website at http://www.portsmouth.va.us/tourism/attractions.htm or call 1-800-767-8782.